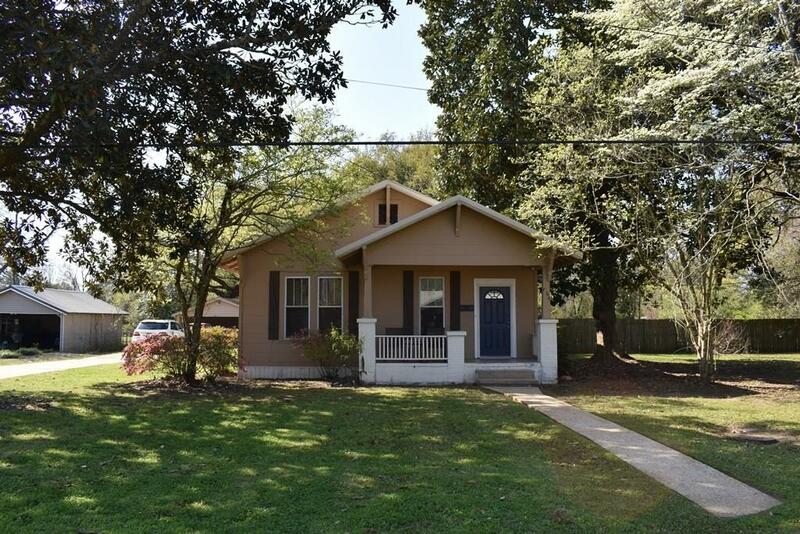 Charming 3 bedroom 2 bath near downtown Natchitoches Historic District yet on dead end street. This home is full of character and is within a mile of East Natchitoches schools, hospital and shopping, this home has living room, dining room, kitchen and den. Front bedroom could be office, exercise room, or playroom. Den has electric fireplace and view of amazing back yard with giant live oaks. Kitchen has cabinets to the ceiling and includes stove, dishwasher and refrigerator. Hall bath features whirlpool tub with shower and stack washer/dryer. Master has full on-suite bath. Wood floors in living and dining. Two car carport, privacy fence, workshop, rear patio. Central air/heat. Ap 3/4 acre oasis in the middle of town. Call for appointment.